Kate Hudson gives birth to baby girl – and she has the most unique and meaningful name ever! Congratulations to Kate Hudson, as the actress has given birth to a little baby girl! “We have decided to name our daughter Rani (pronounced Ronnie) after her grandfather, Ron Fujikawa. “Ron was the most special man who we all miss dearly. To name her after him is an honor. The new arrival is Kate Hudson’s first child with boyfriend Danny Fujikawa, who she has been dating for over a year. She is also mother to two boys – 4-year-old Ryder, with ex-husband Chris Robinson, and 6-year-old Bingham, with ex-fiancé Matt Bellamy. The proud new parents haven’t shared a picture of their daughter on social media yet, but we are crossing our fingers that they will do so in the not-so-distant future. 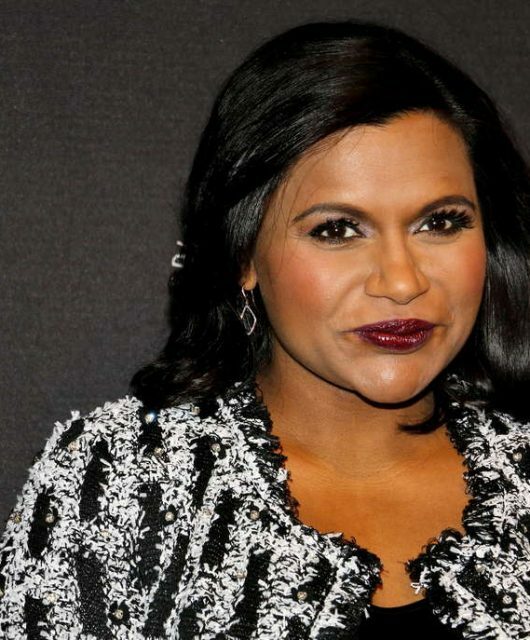 Mindy Kaling’s heartfelt speech on being a single mother is everything!